Insurtechs enable insurance carriers to innovate much faster than they do today. Their innovative solutions dramatically improve the primary process of insurance carriers; they take away the frictions that customers experience when dealing with an insurance firm. We believe that connecting insurance executives with insurtech leaders will increase the relevancy of insurers. 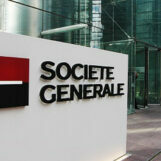 It will close the gap between what customers expect and insurers offer. New digital technologies also result in dropping market entry barriers and allow the emergence of new business models. This article features ten insurtechs that look beyond the current frictions and the current primary process. They understand the impact of new technologies on customer behavior and turned these insights into fresh ideas for intuitive concepts in an organizational set-up that lives and breathes innovation. We believe that the business models these ten introduce are potential game changers. They challenge the conventions of the industry, they inspire incumbents to think beyond the obvious. And by the way, most are more than willing to cooperate with established players. 10. Abracar: professional agent for consumer-to-consumer car sales, not for insurance. 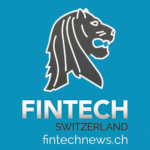 Abracar was developed in 2016 as part of the Accelerator program of Allianz X and is the first spin-off of the incubator. The startup is Germany’s first professional car broker. They help car consumers to sell their car at the highest price without any effort. Abracar takes care of all steps of the selling process starting by creating a professional expert’s report, over 50 pictures, writing an attractive listing, filtering the potential buyers, negotiating the final price and preparing the contract. The car buyer benefits from the expert’s report, an Allianz warranty, financing solutions and competent consulting. According to Abracar, 84.6 billion euros was spent on used cars last year making this a lucrative market where more and more online car dealers and brokers are doing business. Some examples, include: Mobile.de and wirkaufendeinauto.de. 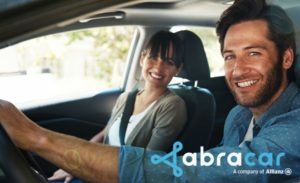 Contrary to other commission based business models, Abracar does not earn money until the car is actually sold–a 4% percent commission is charged to the seller in the event of a successful sale. 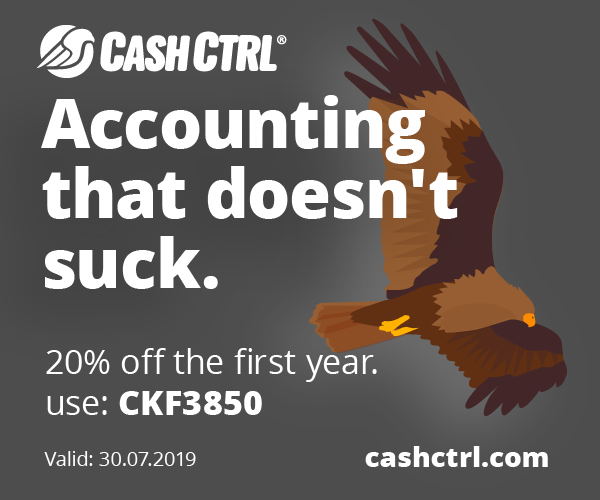 There are minimum and maximum charges of 399 and 999 euros. 9. VitalHealth: improves health care and reduces costs at the same time. VitalHealth Software offers solutions to insurers who want to have real impact and solve real problems rather than just paying out claims. VitalHealth Software develops cloud-based eHealth solutions in particular for people with chronic diseases such as Diabetes, Cancer, COPD, Depression and Alzheimer’s. The impact of VitalHealth software is huge since chronic diseases account for the majority of healthcare costs; approximately 80% of the total costs of healthcare, because worldwide there are more than 2 billion people affected by a chronic disease. VitalHealth serves a variety of providers in health networks like insurance companies, hospitals, behavioural health and partner networks. The company is well on its way to improve the health of 10 million people by the end of 2016. Their eHealth solutions are already used in the United States, Argentina, China, Spain, France, Germany, India, the Netherlands and Belgium. Often in close cooperation with insurers that are looking to improve care as well as reduce costs at the same time. 8. Tribe: peer2peer insurance that leverages social networks to reduce risk and distribution cost. Norwegian startup Tribe is also called the Tinder for insurance customers. Tribe makes simple and fair insurance solutions for responsible people and their friends by using their social network. Tribe’s insurance proposition is based on social mechanisms, the sharing economy and claims to give customers up to 50% discounts on their existing insurance, given that the customer and his or her friends and family stay claim-free. Insurance customers know far more about good and bad risks in their social network than the traditional insurance companies do. Through using social networks Tribe is able to dramatically reduce risk and distribution cost. The concept especially appeals to young people who already have good online experience. In the past, social insurance concepts were based on the fact that users themselves carry the full risk of so-called personal-to-person insurance. Tribe instead rely on the company to move the risk further by signing insurance through the UK Lloyd system – almost a Finn.no for insurance. 7. Kevinsured: blockchain powered chatbot insurance for sharing economy. Online peer-to-peer transactions are growing exponentially, an extremely attractive market, untapped by insurance. Kevin, Traity’s new chatbot, provides micro-insurance for online P2P transactions. Created in collaboration with Australia’s financial services conglomerate, Suncorp, Kevin protects buyers on online marketplaces such as Gumtree, Facebook and Craigslist. From buying football tickets to renting a bicycle, Kevin insures any P2P transactions against theft, fraud, scams, etc. Anything. Millions of transactions happen between strangers every day. Most of them work out really well, but the small percentage of scams make people fear strangers. Kevin brings trust to people buying, selling and renting from one another, Kevin “insures the use of internet”. 6. Qover: unlocks the insurance business for any other kind of business. Many insurers fear competition from other sectors; e.g. retailers, automotive, fmcg and durables brands. And they should. Belgium startup Qover introduced the first ever B2B2C Sliced On-Demand Digital Insurance Infrastructure. Qover’s unique digital library of coverage will soon allow consumer businesses all over Europe to increase their revenues by adding complementary insurance solutions to their product offering, at the point of purchase. All they need is a web-based platform, app or website. They digitally manage the whole stack of insurance; product design, pricing and risk. Claims are settled by a professional independent administrator. Basically Qover acts as an insurance wholesaler offering “Insurance As-A-Service” to digital business partners, the B2B2C business model. The customer receives a price in real time and can immediately purchase an insurance contract which is digitally and instantly issued. Qover also innovates in insurance products, offering “Sliced On-Demand coverage” alongside traditional coverage. Cutting conventional products into more targeted by-products and varies the duration of coverage on demand from one day to one year. If you’re interested in on-demand insurance check out our interview with Scott Walchek, the CEO of Trov. 5. Sherpa: a trusted personal guide. Sherpa is a trusted guide, someone to do all the searching, paperwork and drudgery. Using the consumer’s own data for their benefit. Instilling confidence that consumers have the right insurance at the best price, automatically. Sherpa doesn’t use fear or price to pressure consumers to buy, but rather data and actuarial science to empower the customer to understand what they need. Based on this information Sherpa creates a fully encompassing personal protection package for that customer. The package is unique, as all customers are unique. They monitor their customers through a series of APIs. Sherpa looks at how their lifestyle, household, career, family, financials, health and travels change and how that change impacts the consumer risks. Protection changes based on this data. Lastly, Sherpa doesn’t take commissions, but rather forfeit them to assure their interests are aligned with their customers. 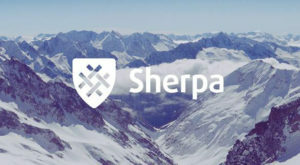 Sherpa is what insurance looks like when it isn’t run by insurance companies. 4. PolicyPal: AI chatbot personal insurance manager. PolicyPal, based in Singapore is Asia’s first independent app that uses artificial intelligence to simplify and digitize insurance. Users can manage and optimize policies through the AI chatbot and PolicyPal offers personalized recommendations on insurance policies, enabling users to get new protection on the go. The mobile app gives users a convenient digital folder of their policies from different insurers. Users are also able to buy policies through the app. It allows users to speak with ‘Kate’, PolicyPal’s digital insurance manager, to know their protection needs before purchasing coverage. The idea came after Val Ji-Hsuan Yap, the CEO, saw her mother’s insurance application rejected. Val’s mom was diagnosed with cancer at the time. She has recovered but the insurance company refused to pay up because the family had missed a couple of payments. That was just because of sheer forgetfulness. The same year, Val’s father passed away due to a sudden heart attack. The future CEO was unaware of how much insurance he had and needed to visit all the insurer branch offices to find out. That’s when Val saw the need to assist others like her family to manage and track insurance coverage. 3. 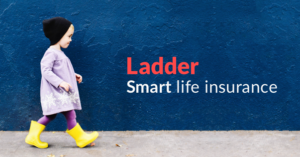 Ladder: instant life coverage online or via mobile in minutes. Who said life insurance is too complex to offer direct online? DIAmond Award 2017 winner Californian-based Ladder is life insurance built to be instant, simple and smart. They offer direct-to-consumer, term life insurance online. They do not charge fees, and do not employ commissioned sales agents. They allow users to get a quote and apply for instant life coverage online or via mobile in a matter of minutes, with policies that range from $100,000 to $8 million, and from 10 to 30 years. Ladder is for people who value a streamlined process. 2. Jamii: micro-health-insurance for underserved low income families. If you’re interested in micro-insurance you probably also like the BIMA story. 1.SituatiVe: event based insurance for millennials. Millennials are so difficult to reach out to for established insurers, resulting in low penetration figures in the target audience of the future. SituatiVe taps into the four key millennial trends to strike the right chord: on-demand, don’t lock consumers into a lengthy contract, provide unbundled convenience and if wanted, an agent is optional. The company offers event-based insurance granting consumers hassle free and digital risk transfer at the point of demand, when and where exposed to risk. The startup uses their own brands for live testing of products and distribution while emphasizing the reduction of customer acquisition costs. 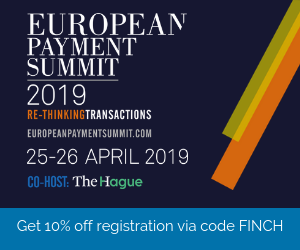 In addition, they provide full-service infrastructure and product development as-a-service for insurers and intermediaries to launch, sell and manage new insurance offerings in a fast and customer centric way.